If you’re searching for the best educational learning management system (LMS) or learning content management system (LMCS) for your school, course or training program, you’ll need to take several key factors into account. Cost, user-friendliness, special features and your customer demographics are all important to consider. 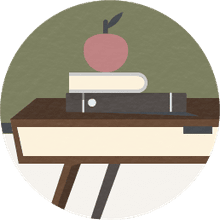 Our guide to the best educational learning management systems will help you make the best decision for you and your company. The Docebo cloud-based SaaS e-learning platform has unlimited storage and bandwidth and is one of the most popular on the market, given its flexibility and adaptability to businesses and institutions of nearly any size, budget and goals. Docebo’s features include gamification, e-commerce and the opportunity for blended learning, including both online and live courses led by instructors. Docebo Learn and Coach & Share are an extension that allows you to further customize your students’ learning experience, allows you to integrate formal, informal, and social learning, and has unlimited storage, courses and bandwidth. Docebo supports AICC, SCORM and xAPI formats, and users praise it for its excellent customer service, onboarding services, and technical support. The LMS offers a 14-day free trial and a variety of different packages for a range of prices. Blackboard Learn is an LMS mainstay and is scalable to institutions and companies of all sizes. Blackboard Learn offers managed hosting, SaaS and self-hosting deployment options, all of which give you or your institution varying amounts of control. Many educators claim it’s the most intuitive LMS available. Blackboard provides easy Dropbox Education integration that makes providing students with files (such as syllabi, readings or assignments) ultra-simple, as well as incredibly user-friendly assessment tools that students and teachers both appreciate. Personalized learning profiles of each student will help you keep track of learners easily, and portfolio, collaboration and course evaluation features make Blackboard a one-stop shop. Blackboard Learn is a popular choice for K-12 and postsecondary educational institutions, like Metro Nashville Public Schools and Northern Illinois University, but it’s also used by corporate businesses and governmental agencies. It also wins major points in accessibility and was the first LMS to receive gold-level certification from the National Federation for the Blind. Talent LMS is a cloud-based LMS that provides a comprehensive virtual learning platform and doesn’t require you to upgrade or back up any data. It works with Tin Can (xAPI) and SCORM and provides the opportunity for gamification, course sales via Stripe or PayPal, blended virtual and instructor-led learning, mobile access and video conferencing. Social integration will allow you to build courses easily, including high-quality visuals, presentations and videos. You can store courses and easily tweak them to provide a comprehensive virtual learning experience. Talent LMS is fully customizable; you can choose and design your own domain, logo and theme, as well as a variety of certifications. Users praise Talent LMS for its sleek interface, online training and support and user-friendliness, particularly in terms of building new courses. Talent LMS is free for up to five users/10 courses. A Small package is $29/month for up to 25 hours and unlimited courses, while a Basic package provides Single Sign-On support for unlimited courses and up to 100 courses for $99/month. A Plus package costs $199/month and comes with custom analytics reports and an SSL for your custom domain for up to 500 users. Finally, a Premium package costs $349/month for all the aforementioned features for 1,000 users. Schoology is a nine-time CODiE award winner and popular among K-12 school districts, such as the Palo Alto Unified School District. It’s also used by corporate entities and institutions of higher education, like Wheaton College. Apps, systems and content can be integrated and managed automatically, so everything from YouTube and CourseSmart to Google Drive and Pearson MyLab can be seamlessly integrated with Schoology features. The mobile app is also a favorite of college students, making all features accessible from a tablet or smartphone. Basic packages are free, and your organization can sign up for a free demo at the Schoology website. Schoology is well-known for its assessment tools, compiled in a platform called the AMP, or Assessment Management Platform. AMP allows educators and administrators to coordinate assessments and curriculum in order to track results across an entire school district and to evaluate students’ progress toward agreed-upon learning goals. Instructors can import question banks from other programs or create them within Schoology, and multimedia assessment tools allow you to evaluate students across various forms of learning. Data analytics are compiled in real time in easy-to-read visual formats, so parents, teachers, schools and districts can see relevant information at a glance. Quizlet is a simple, free LMS with a limited purpose: primarily, to allow users to create their own flashcards and quizzes for the purposes of note-taking, memorization, studying and quizzes. But its narrow aims allow it to be the best of its kind. Learners and educators can use Quizlet to create flashcards for themselves or their students, or they can search the archive (which includes millions of cards) for sets of information they might need. If you’re teaching visual learners, you can use Quizlet Diagrams to help students learn about everything from anatomy to geography. Quizlet is intuitive and quick to pick up on. It’s most popular among language learners and tutors, as it’s ideal for vocabulary memorization and practice. Teachers often use Quizlet Live to allow students to play lively, in-person collaborative classroom games. Quizlet Learn is available on Android, iOS and the Quizlet website, and is powered by Quizlet’s Learning Assistant Platform, which analyzes millions of previous study sessions using an algorithm to evaluate your progress on a given self-designed set of flashcards or items to study. Verified Creators from MCAT Self Prep, the National Academy of Engineering and other organizations also create professional study sets that students and educators can use to add to their learning experiences. Mindflash is ideal for employee training and courses for workshops or business students, as it’s designed to be used primarily for online learning on “business-critical topics.” It’s a popular choice among corporate organizations, MBA programs and global enterprises, as well as companies and educational institutions in the healthcare, software, manufacturing or retail industries. Mindflash has been noted by Forbes as one of the best in the business. Educators and trainers can create interactive lessons and courses using videos, PowerPoints, PDFs, Word and SCORM files, narration, animation and interactive quizzes. They can also be customized with your institution’s branding, including trainee dashboards, as well as custom e-mails, domains and design. Instructors can edit courses and provide feedback in real time, while students will be updated on their progress as they complete tests in real time as well. Courses can be delivered in nearly every global language and can be designed for every device. A Standard package is $599/month, while a Premium package costs $999/month. Looking for new ways to engage your students? The Academy LMS is the best LMS on the market in terms of gamification features that make learning more interactive, fun and streamlined. All the normal eLearning, reporting and assessment tools are provided, but it’s also known for being a social learning platform. It’s scalable, flexible and accessible on any device, including mobile devices, as well as SCORM and xAPI compliant. The admin area allows you to assess your students’ progress and learning gaps with a single glance. E-commerce through Stripe is also available on the platform. With The Academy LMS, employees and students can approach learning objectives and tasks such as games, earning points and trading badges while competing with other learners in the Reward Center. Learners reach various levels as they compete and earn Achievements while tracking their progress on the Scoreboard. Training is also available, as well as consistent technical support. So if you aren’t accustomed to game mechanics, never fear: You’ll be able to learn. Moodle is a free LCMS/LMS that’s known for being one of the top choices for colleges and universities for course management. Moodle stands for “Modular Object-Oriented Dynamic Learning Environment,” and with a wealth of add-ons and plugins that offer additional features, it fulfills its name. Moodle allows you to conduct virtual classes, administer online quizzes and exams, interact and collaborate in forums and wikis, as well as handle grades efficiently, all with a single sign-on, which might be why it’s the LMS of choice for Columbia and California State Universities, Open University and Dublin University. Moodle can be hosted on an external server or your server and can easily be integrated with other systems, such as Turnitin and Microsoft Office365. However, you do need to have fairly strong technical skills to operate Moodle. It’s known for not being the most user-friendly option and for having a steep learning curve in terms of functionality. Additionally, there isn’t 24/7 technical support available for Moodle users. If you’re just learning to use LMSs, Moodle probably isn’t the best choice. However, the flip side is that because it’s meant for users on the more tech-savvy side, it’s fully customizable, and you can tweak it to fit your or your school’s particular needs. Moodle offers less support, but more control, so if your institution prefers to monitor its own authenticity systems and data protection, it’s a great LMS option.